Today I wanted to provide an update on a software case study that Perrin and I are doing right now. 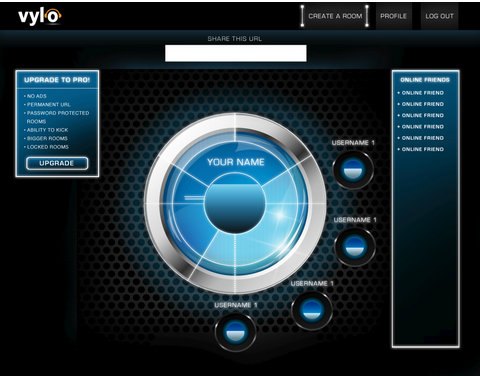 As introduced a little while ago, we are developing a software application targeted at gamers called Vylo. 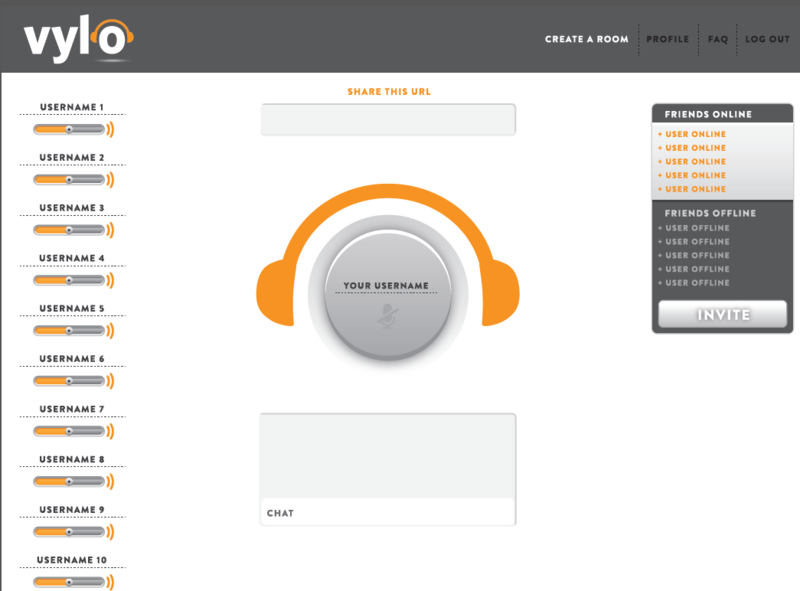 Vylo is a web-based chat solutions for PC gamers primarily, and we hope to build it into a great business. However, we are still in the development stage and have not launched the business quite yet. This is one reason I haven't provided an update for about 2 months now; because not much outwardly has occurred. However, there has been A LOT going on in terms of product development that need to be shared. In addition, I think this post will be a great insight for anyone looking to hire a developer and create their own software business in terms of project timelines and small issues that can arise. So, how is the Vylo development coming along? Well, I truly believe that we are getting VERY close to having a product that we can start officially beta testing. We've been internally testing Vylo for a couple of months now. Once we have worked out just a couple of minor issues, we will likely start sending out the beta version to the list of over 6,000 interested people that Perrin built. So, in its current state, we have a working version of Vylo that Perrin and his friends currently use while they are gaming. It works! So, that's a huge step obviously. But, it still has just a few rough edges that need to be tweaked before we can publicly share it. If you look at the date of the last Vylo update, you will remember that it was posted in February of this year. Development on the project actually started at the end of November, and we expected that it would only take a couple of months. So, as you can see this project has taken our developer much longer than expected. We are now going on about 5 months, and its still not quite ready. As you can imagine, this can be very frustrating to some people. However, I'm personally not too anxious about it. I've always been MUCH more concerned about getting a great product, even if its late, than getting a half-working product on-time. And to be honest, this is really not out the norm for larger projects; they often take much longer than expected. I've come to realize this as I've made major changes to Long Tail Pro a few times and the deadline is always a goal, but if it takes a month or 2 longer to get something completed; I'm okay with that as long as its done right. For Vylo, we have had a few issues arise that have caused the time delay; including our developer getting sick; developer being extremely busy with other projects (as he thought he would be done with ours), some graphic design delays that were caused on our end, and unforeseen bugs that needed to be fixed. Again, this is probably the norm for any large project. The unexpected happens. So, despite our wishes that the software would have been ready for prime-time by now; it really is going to be just fine. We've had great communication with our developer and that goes a LONG way in keeping everyone on the same page. One of the issues that caused a bit of a delay was the graphic design. We didn't have graphics ready to hand to the developer…to be honest we didn't fully know what we would need going in. The developer was able to add some basic skins, but after discussing with the developer and ourselves, we decided the highest quality product would be created if we hired a graphics person to do the designs. This took a little bit of time, but what took even more time was the fact that we sent back our first designs and asked for a second set! Ouch! Basically, it was our fault again. We asked for a bit too much in terms of graphics, and ended up with some designs (based on our instructions) that we thought looked outdated for this project. I'll be honest, I like the design. However, I'm not a gamer. After Perrin, the developer, and the other partners (all of whom are gamers), discussed the designs, they decided they did not like it. The primary reason was that it looked like something that would have been cool 10 years ago, but not so much now…it looks out of date. 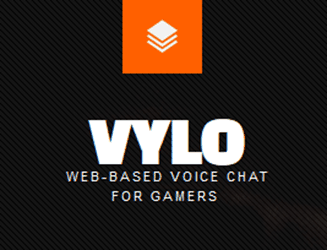 Also, we wanted something more simple and clean to match what Vylo is all about (a quick and easy way to set up chat rooms for your gaming buddies). Again, this was our own fault for not being more clear about what we wanted up front with our graphics person. So, we went back and got a second set of designs that we are moving forward with. Overall, we are happy with what we have and are moving forward! Just a few more tweaks to the actual application and we'll be ready to introduce it to the world for more testing. Connect with influential gamers and communities where gamers hang out. Get Pro Players to try it out. In addition, with our initial list of over 6,000 people we hope that it will spread by word of mouth. This is a very natural way for Vylo to spread since its pretty boring to chat in a room by yourself. Once we have a final product in our hand, we will be hitting the marketing side of things much harder. But the majority of it will be focused on finding those that already have some influence in gaming communities, forums, have email lists, etc and doing whatever we can to strike up some sort of agreement with them to mention, promote, or share Vylo with their communities. Overall, Perrin and I are very excited for the eventual beta testing and launch of Vylo! The potential market is huge and we think with the completed product and the right marketing we can capture a nice sliver of that market. We still don't know the exact date of when everything will be ready to go, but it really should be in the next few weeks. As always, I'd love to hear any comments or questions that you have, and Perrin and I will do our best to address each of them. Oh man… Those early designs! They hurt! Ha. I would LOVE to know more details on this kind of stuff and this Vylo project. Getting a website created that is bigger than your typical niche sites is really down my alley right now. I won’t disclose the amount we spent on a designer, but it was abut what you would expect to spend on a professional designer. That is — it wasn’t an Elance job, so it wasn’t cheap. The designer is someone I’ve worked on several different projects with, so I knew her work and could call her on the phone. Everything else was just hard work. We sat down and hashed out a bunch of different concepts, mocked up some designs, went through the whole site, and figured out designs for each element. Then our designer just started drafting mockups and sending them over. The new design is great! At a glace I can tell what’s up. Sorry if this was already covered, but how is this better than using Skype? Instead, you just share a URL and everyone is chatting. It’s built for quick, random pick-up games with either online friends or other players you meet in-game. They serve different purposes. Lots of gaming chat software exists outside of skype currently, there is a big market there. TOTALLY AGREE. I currently use TeamSpeak and Ventrillo with my gaming buddies and honestly it’s such a pain having to setup a profile for every server I enter. For example, when I joined a clan in one of the games I was playing the other night, I had create a whole new profile with my display name, the server, port, password, etc. Too much!. I’d rather just click a link and join immediately. Great case study Spencer. I am in the process of conceptualizing my first software project, and this case study along with all other about LTP have been very insightful. I too am not a gamer, but I like the second set best! This is very interesting. Lately, I’ve been developing a lot of interest in SaaS so I am digging all posts alike this greatly. I’ve very new to this arena, too, so we’re definitely learning together, Pratik! I agree. I think in future we should do a private mastermind of couple of people too who are maybe committed in SaaS for making a passive income (income stream). I believe it helps everyone a lot to keep each other accountable for everyone’s own progress. Pratik, I’m with you here, SaaS is definitely the way to go. I’m creating services on Microsoft Azure and I’m AMAZED at how easy and powerful it is. That’s great Mark. Hope we’ll be in touch (all of us) in future when we start our own ventures as well. Congrats again you guys! Such a huge inspiration! I totally understand what you mean when you say the first design looks a little bit outdated haha. I’m not sure if I completely dig the second design though. I think perhaps the white on orange color scheme just doesn’t sit too well with me. Perhaps a green or a blue? Also, the skeuomorphic design elements seem a little outdated to me… perhaps you guys could try a flat design style. But that’s just my personal preference. Anyway, keep at it guys! I kinda agree with Jhana on orange/white design too. Maybe blue/white could have gone well. But anyway, I think colors are easy to change as much is based on CSS and images can be edited as well. So split testing in future is possible I think. Very possible. The nice thing is that the graphics are honestly not that important for this particular product; the users won’t be interacting with it a ton. Once they are logged into a room, they will be off playing their games, not staring at the designs. We can also update designs at any time if we decide to. A great point on the latter part. Yeah, not much interaction is done on site once they are logged in. I’m a graphic designer and I definitely like the second design. It’s awesome. Wow wow wow, I’ve got a feeling that this will blow up. By the way, I think it would be a good idea to keep your mailing list warm by sending them a quick email update on the development and design. I agree on this too if you are not already staying in touch with them. Yep; we need to get on top of this. You always have different online business ideas. But I’m still working hard on my niche site. We’ve got a whole bunch of niche sites we’re working hard on, and I personally am working hard on my second niche site. It just passed $200 this month today! I think you need to change the new design. Orange/white doesn’t work in this case. Maybe you can try out the blue/white. I think someone mention in of the comment. Somehow blue always attract people to buy. You might give the idea of us vote for it. Then you can have a better idea. As always great job on the project guys! I can tell the both designs are a bit to simple and not at the level they could be. First design is old styled, and complicated, so its good you doped it. The second has a good idea behind but still missing on execution. – even the headphones over the knob are not finished. A real flat and clean style design will do the job perfectly! I would advice going to dribbble.com and just type in to the search for ” interface design” or something similar. You can get there some really good designers, some of them are world renown and may charge up to 100$ per hour, some of them may go as low as 15-20$ ! But once again, you get what you pay for! Good luck Spencer and Perrin, this project is really nice! Thanks for the good advice Andrew! Just reading the comments it’s easy to see how hard design/design process is. Everyone has different tastes so everyone will have an opinion on what is good and/or bad about your design. The best solution is to hire a quality designer at the beginning and have as much information for him/her before you even contact them. Know what functionality you need and always ask “what happens next”. If you want a button, what happens when you click that button. Need a big circle with headphones around it? Why, what purpose does that have? Knowing the details will help your designer and keep costs down. Once you have a good first version, push that baby out of the nest and let user feedback guide you on what works and what doesn’t. Designs are easy to change, though, so I’m sure they’ll evolve as the site evolves. Been following your blog for a few years and this is an interesting project you are getting into. There is lots of heavy competition out there and I would suggest digging into it. Off the top of my head, the major ones I know of are RaidCall, Ventrilo and Teamspeak. Their interfaces are not snazzy and look very window-ish. But they work and work well. Best of Luck, still stuck in my wantreprenuer world and wishing I could get out. A niche site, authority site or webapp website is what I want to do. Thanks Drew. Yes, we are definitely aware of the competition and understand how we are different from them; which is key. Best of luck! this looks like an exciting project. I wouldn’t worry too much about the delays – in a year’s time you will be glad that you took the time to get the product right before launching it. Not a gamer or graphic designer but I do dabble in website creation so I thought I would throw my 2 cents into the ring. The majority of the comments here are all about the graphics which to me shows how important the visuals are (I would imagine the same would apply with gamers as well). Maybe you could make the software skinnable? If you are targeting specific games you could always make up some skins to complement the game of choice? As I said just my 2 cents worth. This is a pretty amazing case study. After seeing how much was made in such a short period of time with LTP the wheels were definitely turning. I’m impressed by the fact that you were able to build a list of 6000 interested buyers. Keep up the good work guys, I would also love to see the final costs with this project. Thanks Steve! And I’m sure we will be sharing more numbers in the future after launch etc. As an avid gamer myself, this is definitely an interesting concept. I just couldn’t help but wonder though, if you have to share a link, then does this not require having already exchanged some sort of contact information (it was mentioned in comments that the one of the points of this webapp was you didn’t require exchanging info)? Otherwise how would you send the link out to the other party members? I suppose it’s still a benefit considering everyone has a browser versus having to work out which program to install and use. Another thought also is have you considered possibly going to a gaming convention, such as PAX Prime to showcase this? This looks great! Thanks for the update. Looks like it’s on its way to being very profitable for you, and a great learning experience for all your readers. I’m looking forward to hearing absolutely everything about how you guys market the product. Great to hear about your progress. Word of mouth marketing will be your best bet. You are in a market where passionate people play. He did did some great reviews in industry mags which helped. Gaming mags? Writers need content. His plugs are free to try but you can’t save the settings which allows the user to try them but without being able to save settings for future studio settings. So the software is limited in its use. But they like them so they purchase. Could this approach of some limitation on a FREE copy with a purchase upgrade with the license be an option for you. Probably too late in development phase to even consider. Anyway best regards and look forward to hearing of your success. Don Massey, an old guy! Thanks Don! In fact, Vylo will be taking the freemium type approach, will be free to use; but have advanced features for a fee. Hi Spencer, first of all, I love your site and everything you do. I used to be subscribed to 7 SEO guys, now you’re the only one I subscribe to. Anyway, I’ve been a software developer for 21 years so maybe I can help some of the people out there understand a little more about the development process. Software engineering (as we call it these days, until someone discovers something that sounds more cool!) has evolved immensely over the past 10-15 years both in the technology available and the development process. Years ago, you gave the developers a very detailed and static spec, waited and hoped for the best (the waterfall method). These days, we have “Agile” development methodologies, which promote a constant feedback loop between the developers and users, which ensures that you get what you pay for! As technologies and communications improve, there are more and more excellent programmers and companies with programmers out there. Note that I said programmers and not developers, or… software engineers. A good programmer does not make a good developer. The difference is in the feedback and providing a business service. This is not an art. Much like engineering or architecture, software development is a business. I’m straying now and waffling so let me get to the point. When hiring a developer, don’t just ask what they’re capable of developing. Ask about their development methodology, how they gather requirements, how they provide feedback, how they approach their testing, and most importantly, what they need from you. If they ask very little from you, especially at the start, then they’re not going to understand EXACTLY what you want, and trust me, changes are FAR cheaper at the start of a project than at the end. EXCELLENT point Mark! I agree 100%. We’ve hired a great developer who is all about communication and constant feedback…very critical to the success of any project. I like blog post like this. BUT, is it a reason why you don`t share the cost of development/design, it should be really relevant if we want to take action on your content? Its very easy to get a potential cost for your project. Post a job on Elance and see what programmers bid for. Everyone’s project costs will be different based on what they are developing. Vylo looks awesome. I don’t game anymore, but the concept of this is a definite winner. Looking forward to seeing this become huge in the computer gaming world. The first design looks rad. The second design looks great! The first design is more futuristic and might appeal more to fast action, SiFi gamers. However, gamers come in all types and gender. So the second one will server and appeal to a wider market. Also, the second design will be more responsive for mobile devices. Another point is that the second design, from a web developer, will translate to code more directly. Thus, once the code is done, it will run better, faster and with less bugs. I would like to develop a simple software too, but have no ideas at the moment. Do you have any suggestions of finding a need to fill with software? Get a notebook. Write down problems you encounter each day that could be fixed with a business idea. Also, start thinking of various niches and how software could help…each day. After a few weeks, you’ll have tons of ideas. Thanks for the cool post! Your project looks awesome especially the graphics. Wish you all the best. For such a large project, why did you not register the .com ? Are you no scared that someone will take advantage of that? We are being lean; .com is taken. I like a new design and I am looking forward for a further progress of this project! Thanks for sharing your case study. Though I am not a gamer, I am now interested into participating in Vylo’s success.